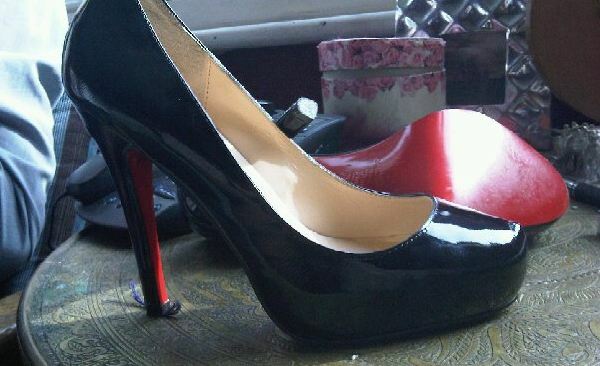 Sorry Christian Louboutin, but I have never understood what all the fuss is about. But then I’ve never worn a pair. Celebs and plebs alike go crazy for these now legendary modern classics, and if you have wanted to own a pair, you are lucky enough to be a 39 and you have some spare cash for an opportunity such as this, email me lucy.granville@gmail.com with your best offer. These are size 39 and from a friend of mine. She has worn them once. Worth £450? or so new. WANT. But unfortunately they are far too delicate for my oafishness. So I shall have to admire from afar. The revolving long boot is just awesome.